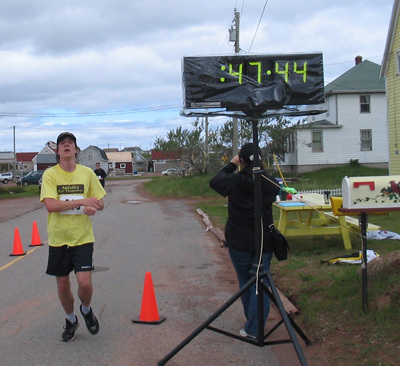 "A nice run for all abilities through the streets of Sherwood"
"Both hilly and flat sections"
10K in 44 minutes 45 seconds. 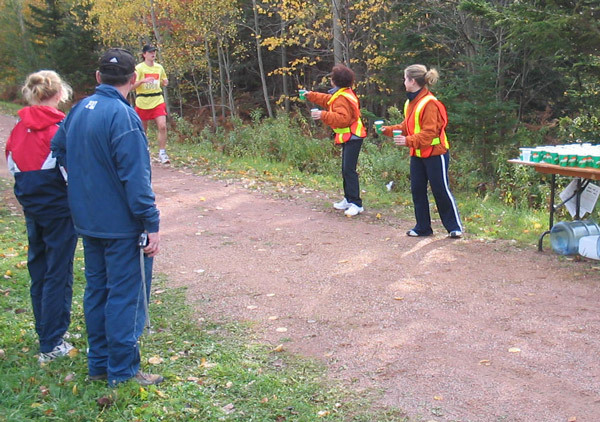 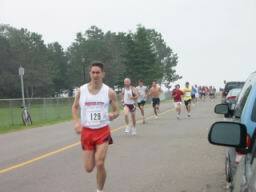 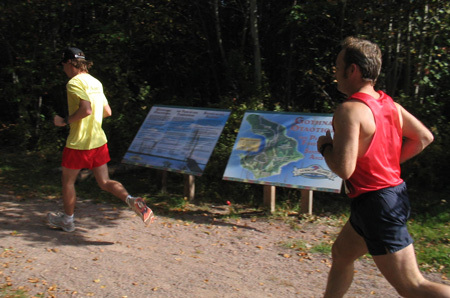 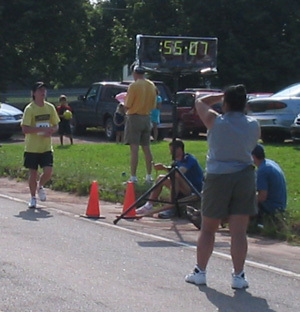 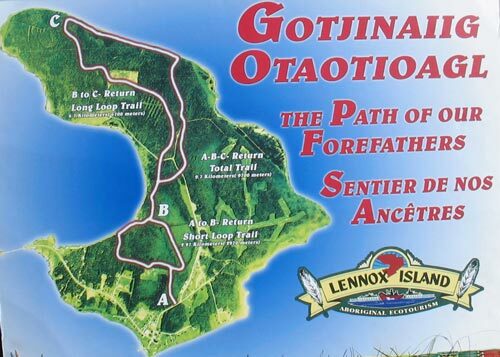 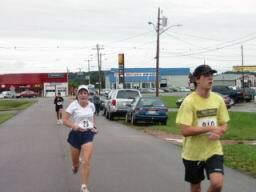 "Flat and fast on Confederation Trail"
10K in 45 minutes 27 seconds. 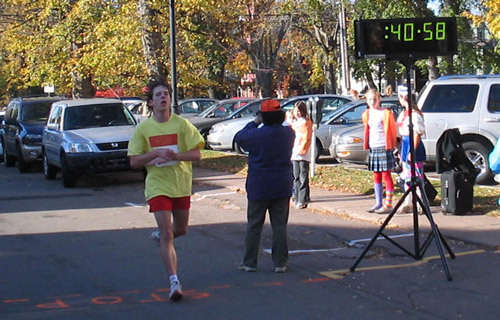 6+K in 27 minutes 25 seconds. 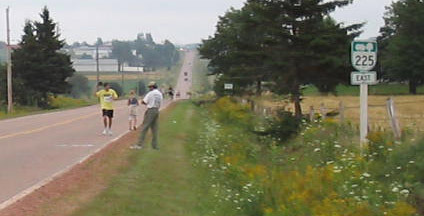 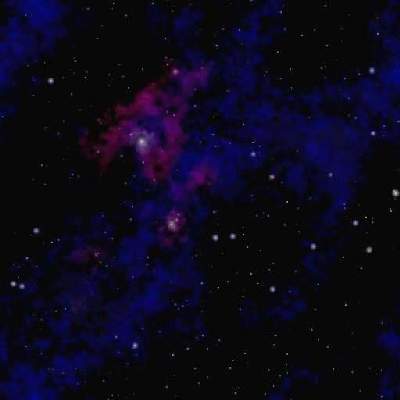 "Scenic view, a tad hilly, some dirt roads." 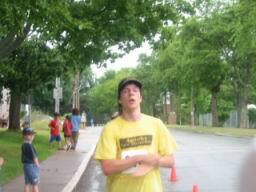 10K in 47 minutes 44 seconds. 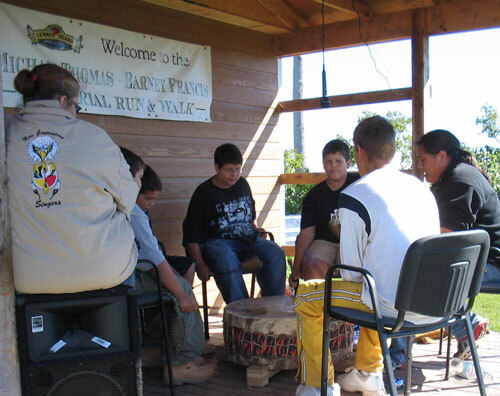 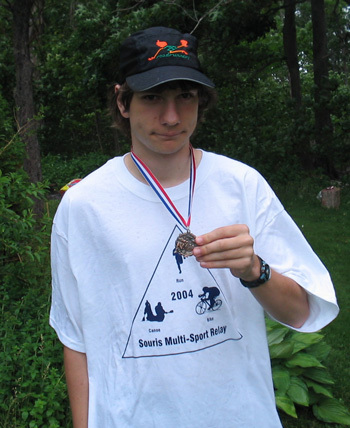 Won a kayaking trip with Outside Expeditions for placing First in men's 18 & under category. 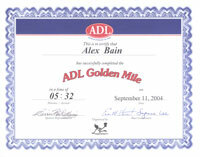 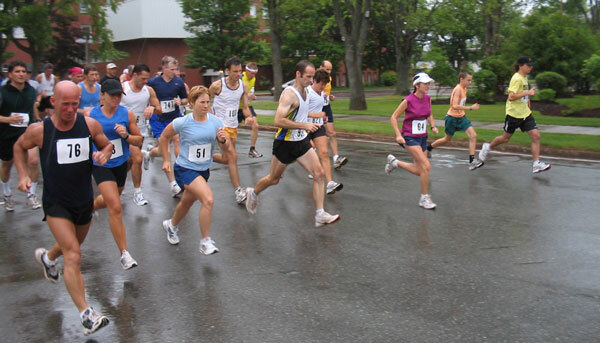 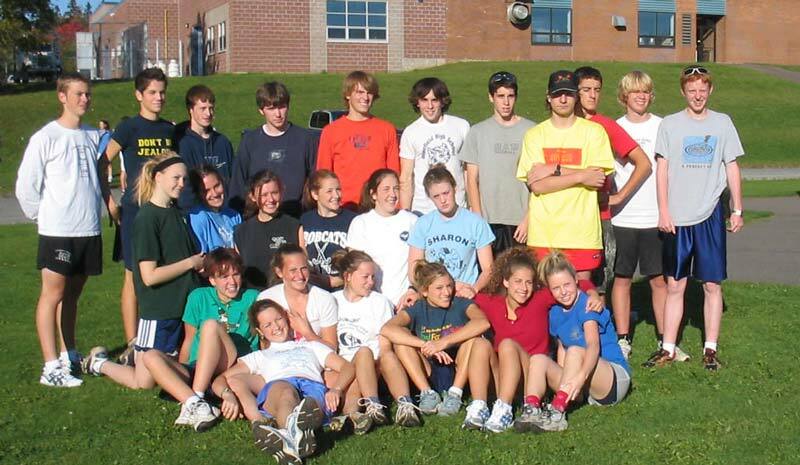 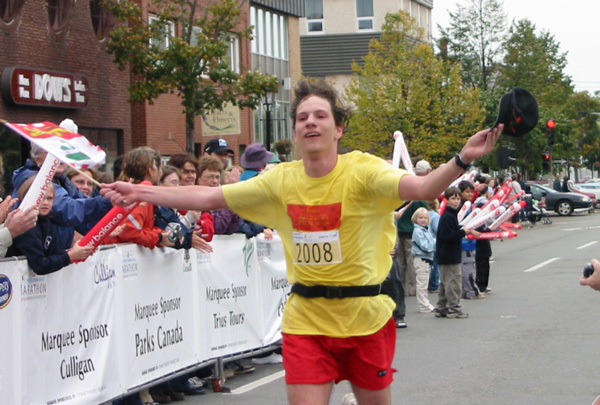 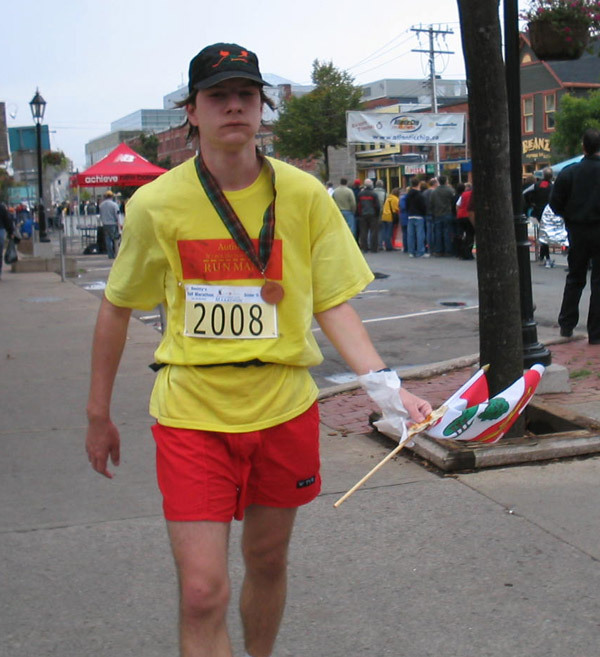 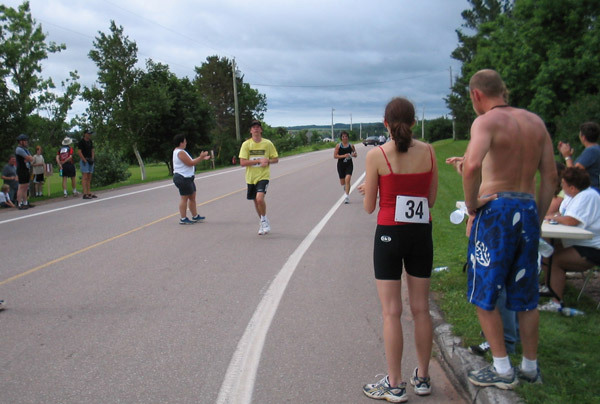 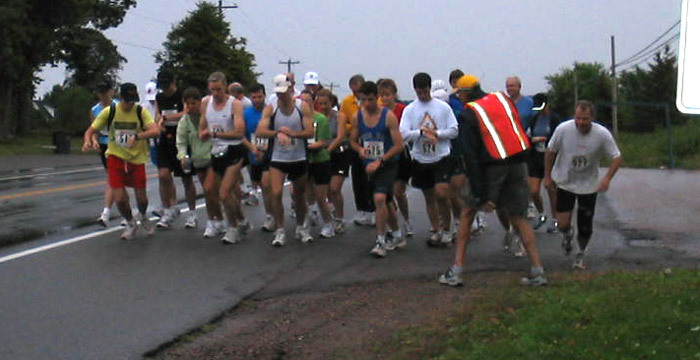 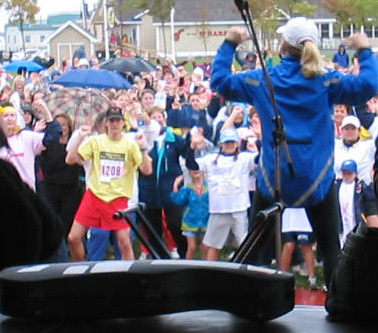 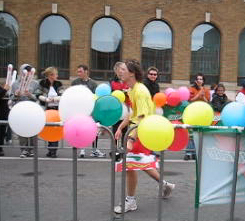 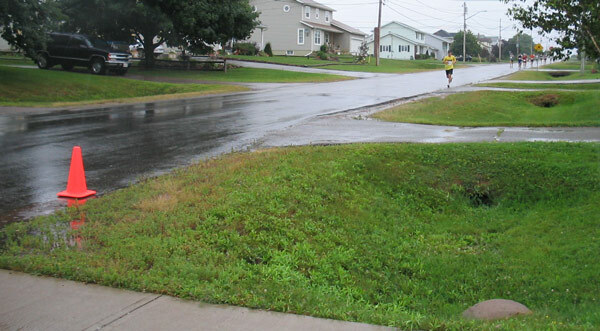 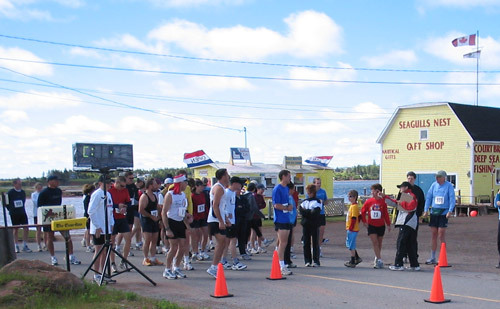 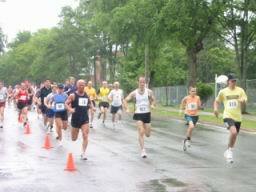 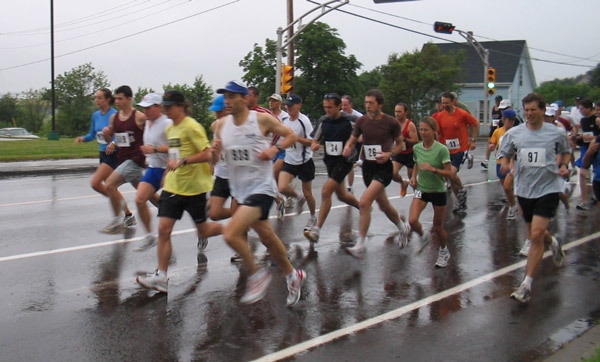 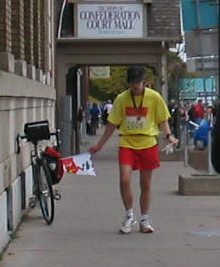 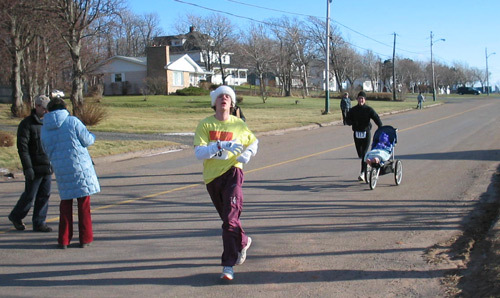 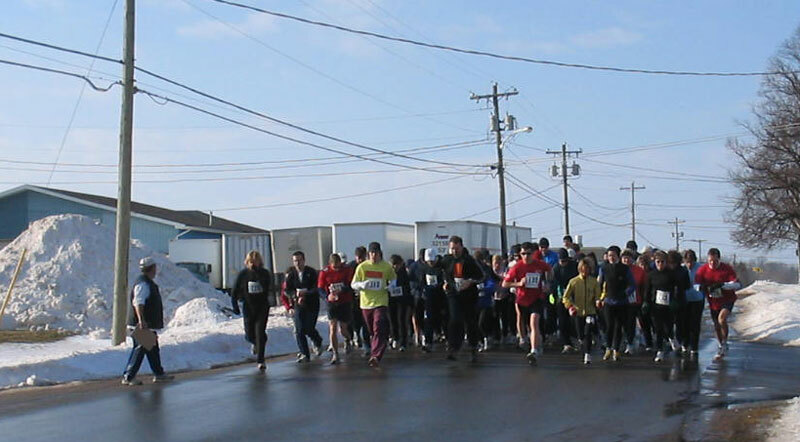 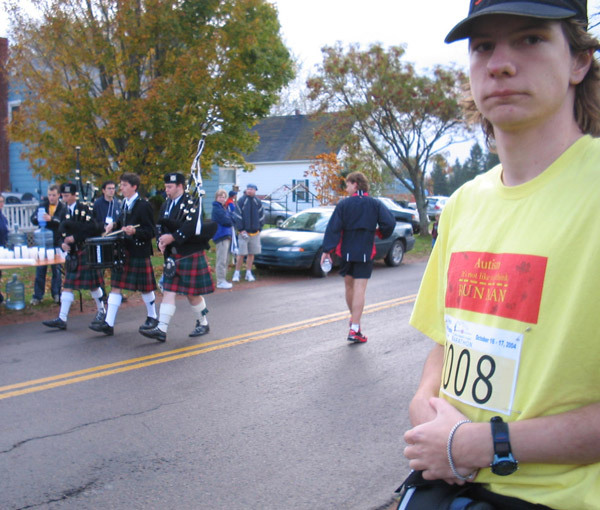 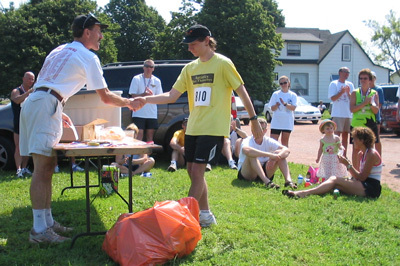 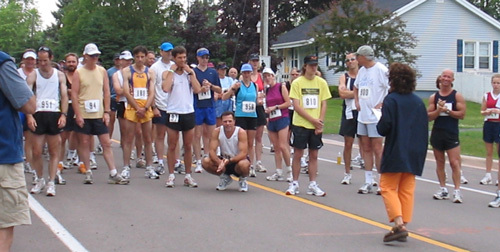 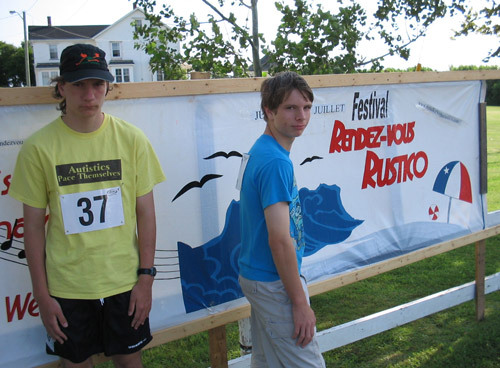 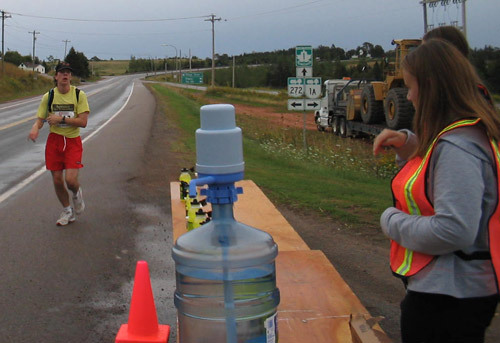 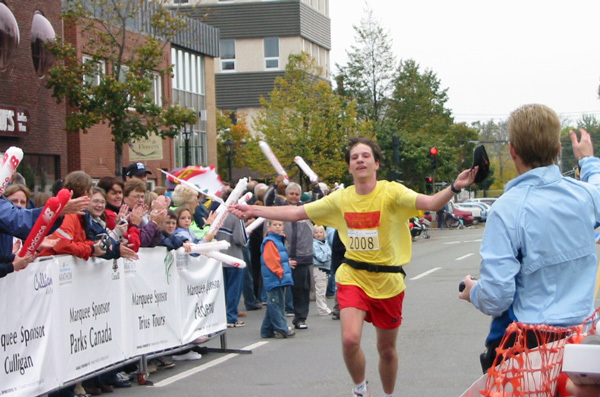 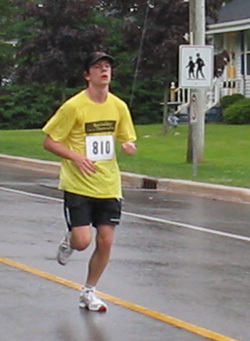 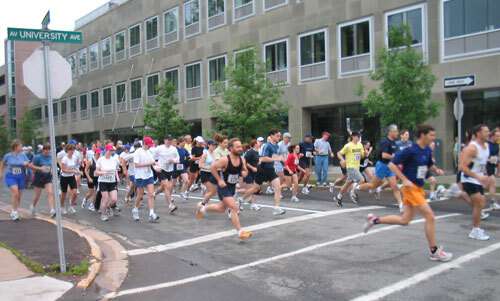 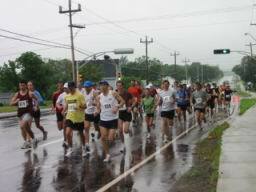 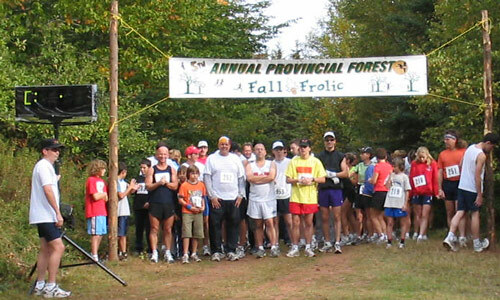 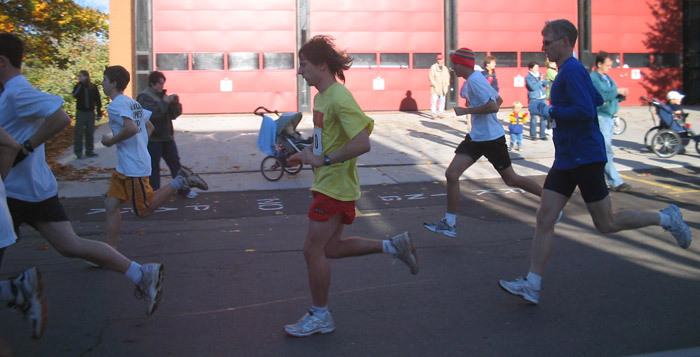 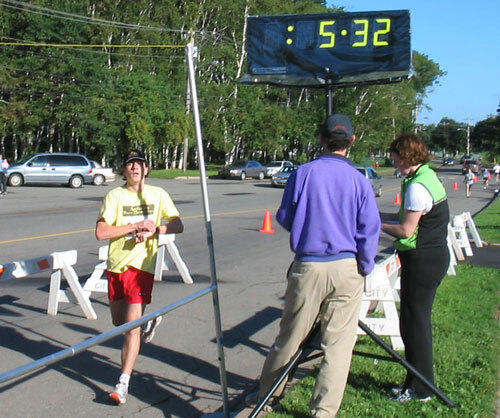 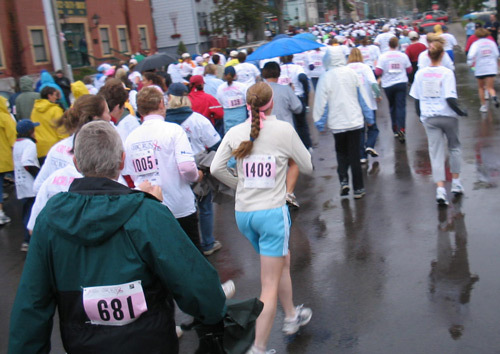 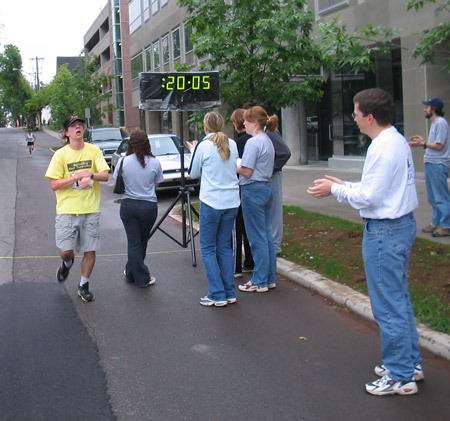 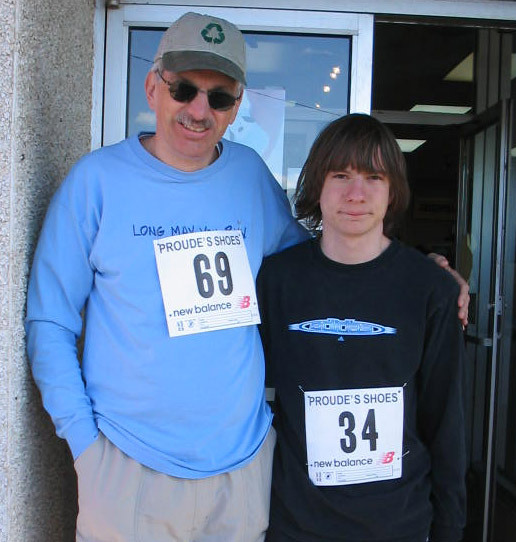 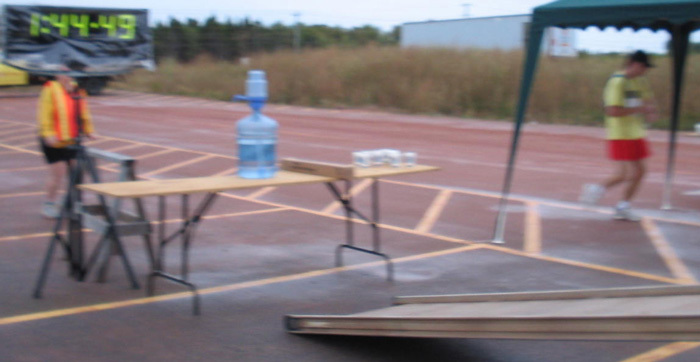 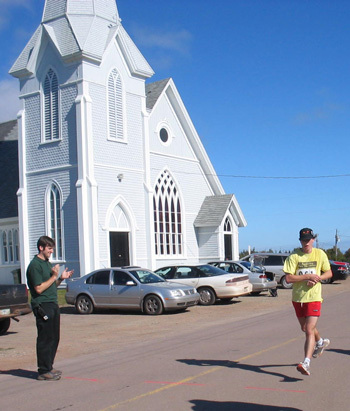 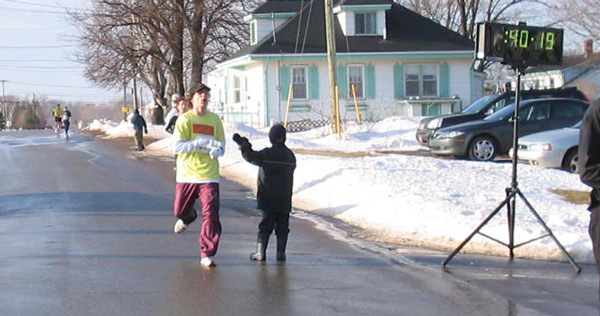 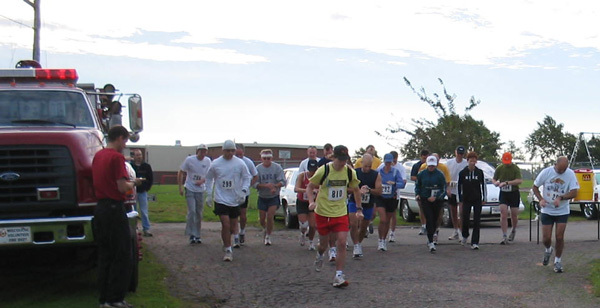 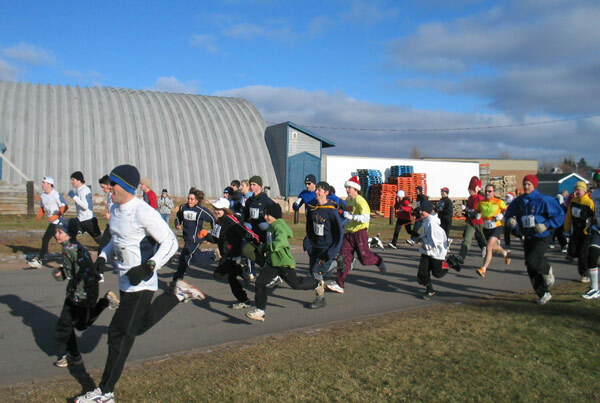 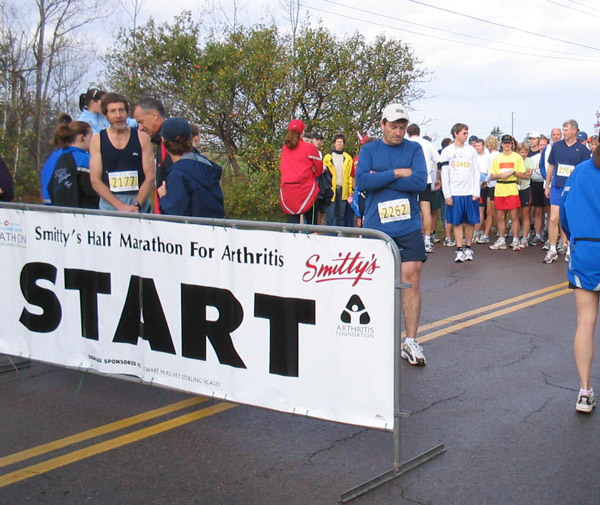 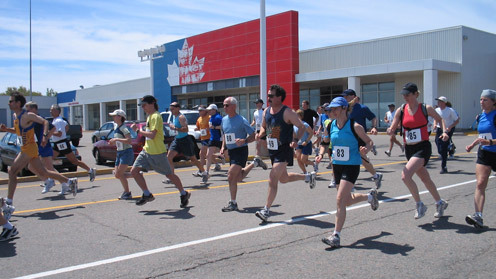 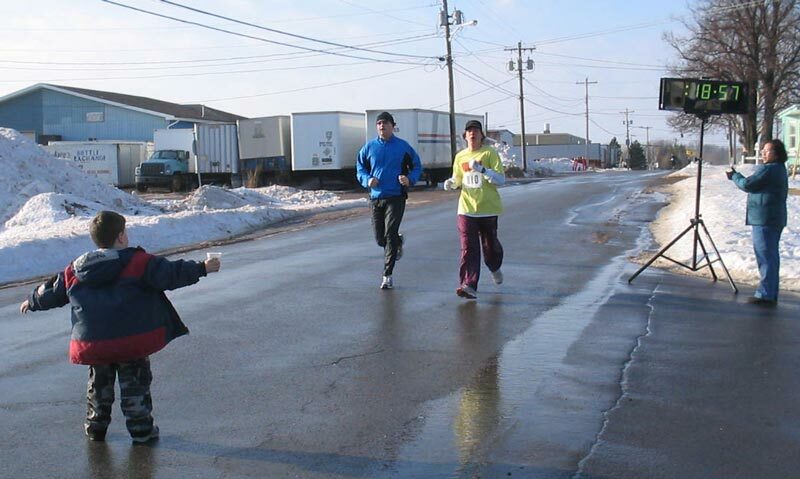 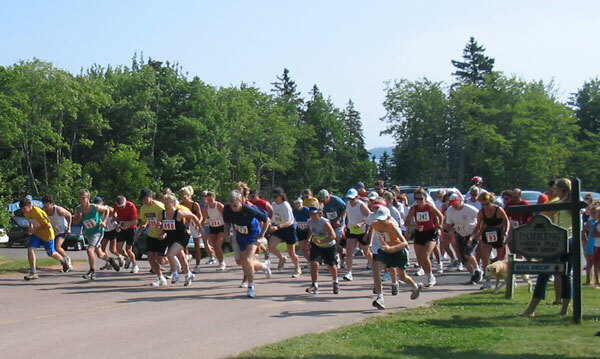 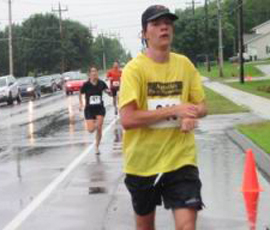 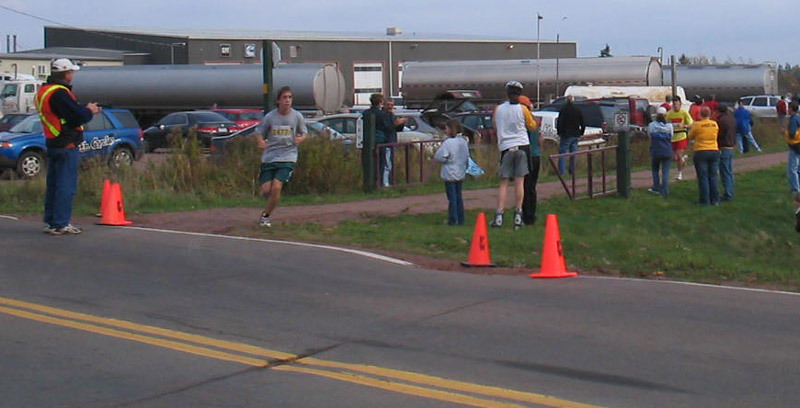 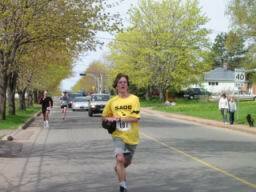 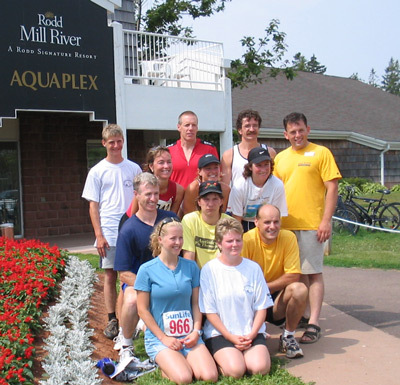 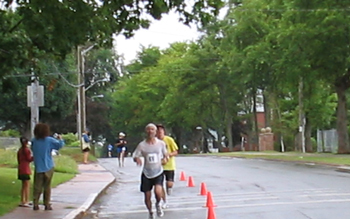 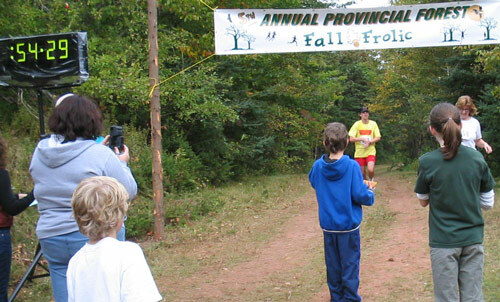 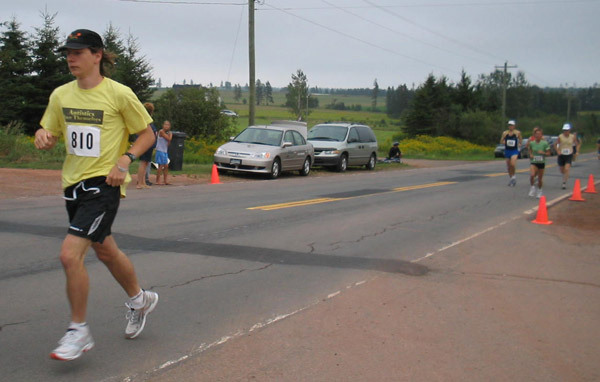 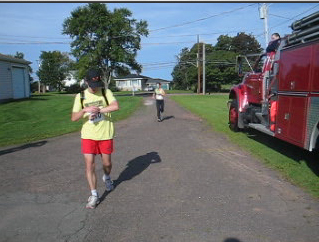 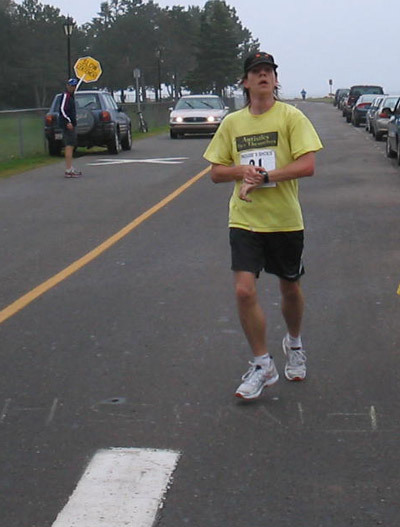 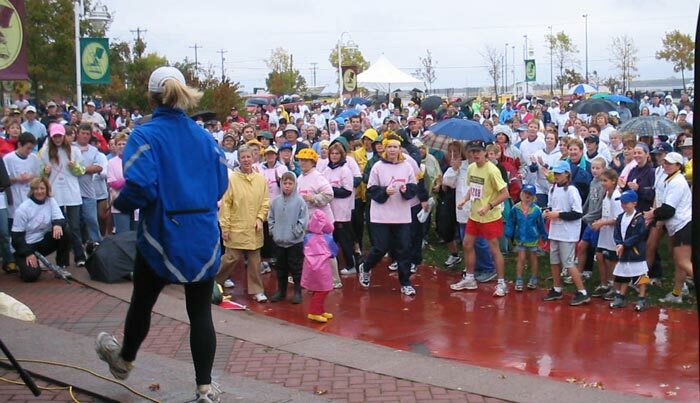 "A nice run for all abilities through the streets of Charlottetown"
5K in 20 minutes 4 seconds. 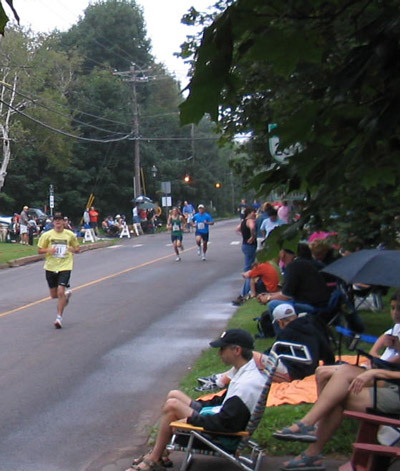 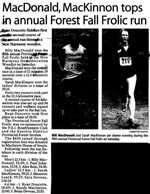 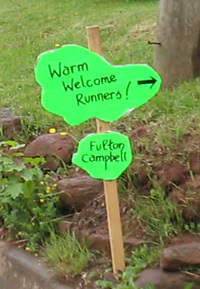 "Scenic, country run featuring the challenging Bells Hill at 15K"
20K in 1 hour 38 minutes 19 seconds. 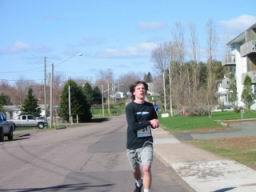 8.4K in 38 minutes 30 seconds. 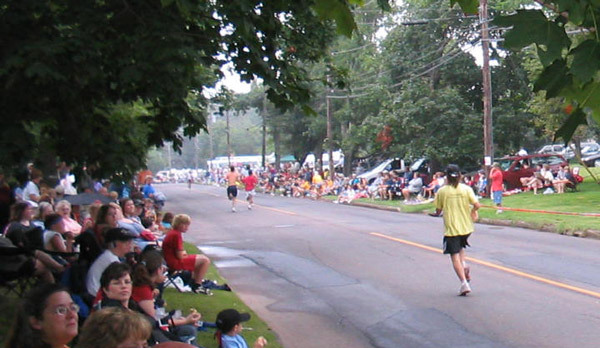 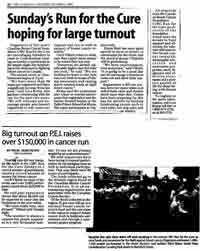 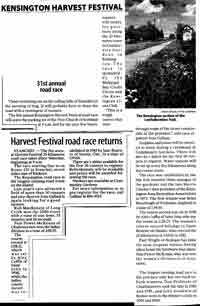 Flat and fast course loops through downtown Charlottetown, with a portion of the race on the actual Gold Cup Parade Route - in front of thousands of spectators!!! 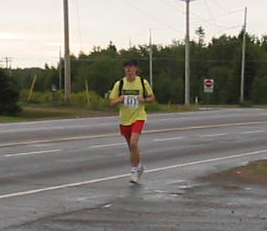 After running 13th most of the race, the hills, humidity and dehydration caught up with Alex at the 13.5 mile (21.7K) mark, 1.5 miles short of the finish line. 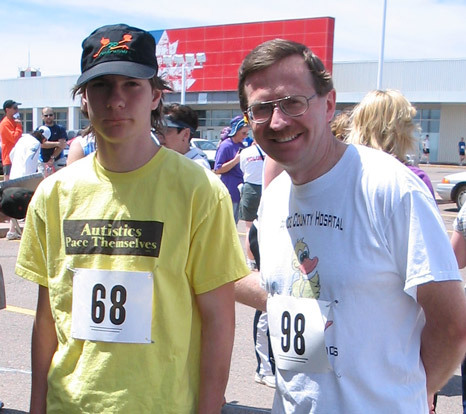 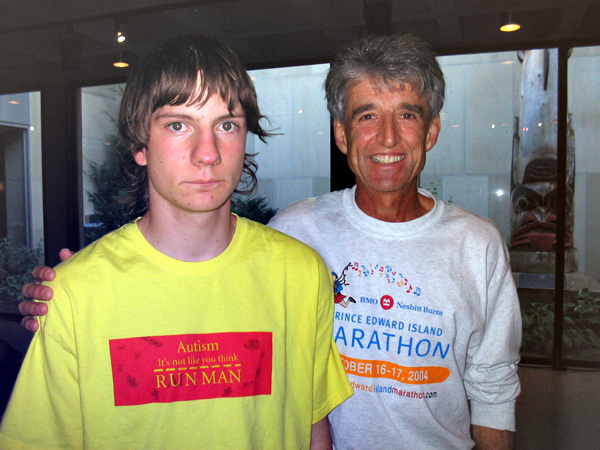 Our thanks to St. John's Ambulance for on site care, the Kensington Police, our Dr., Peter MacKean who was in the race and stopped long enough to check on Alex, and all the runners and organizers for their concern and well wishes. 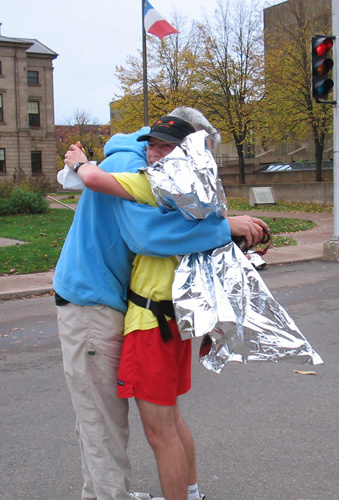 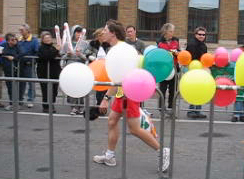 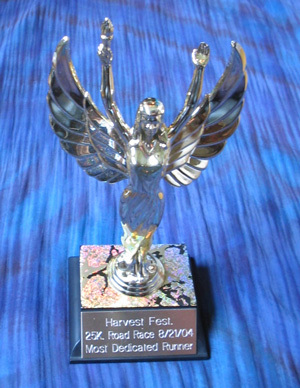 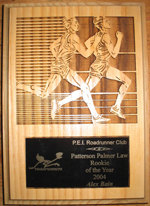 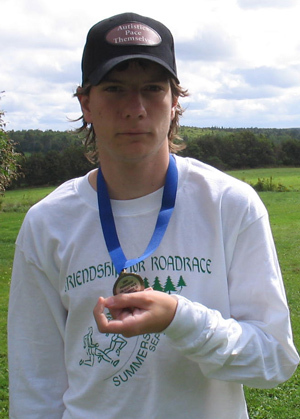 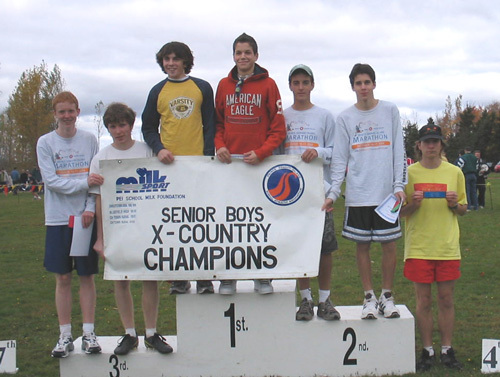 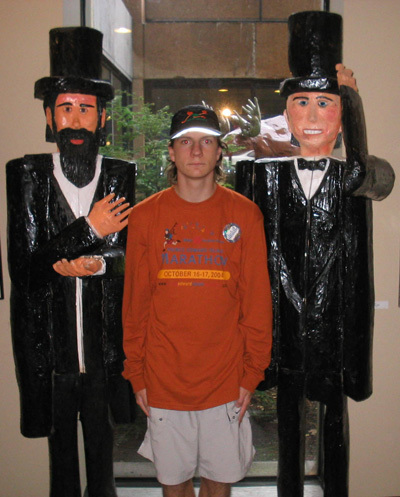 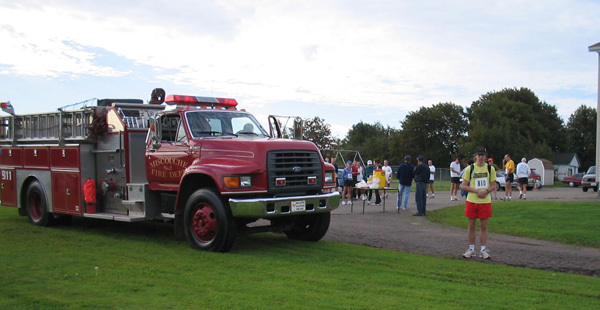 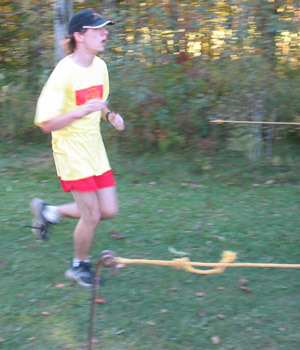 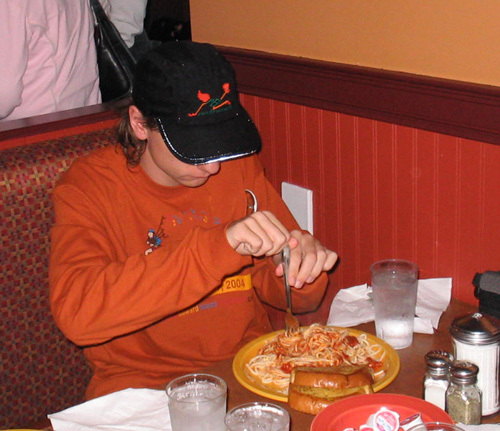 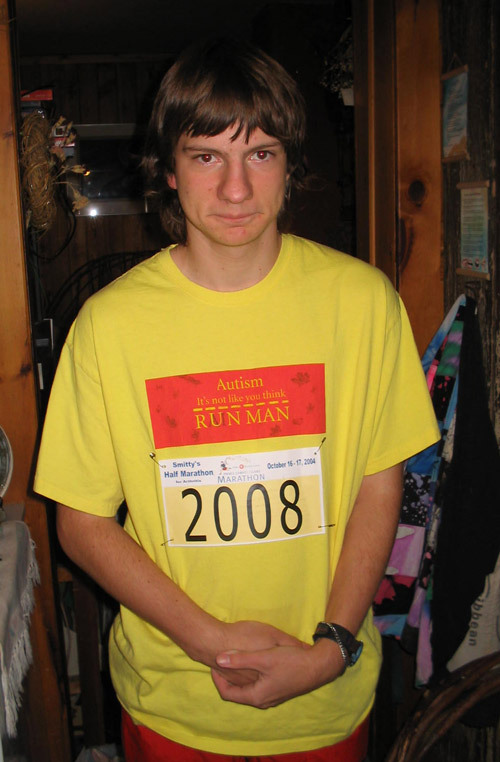 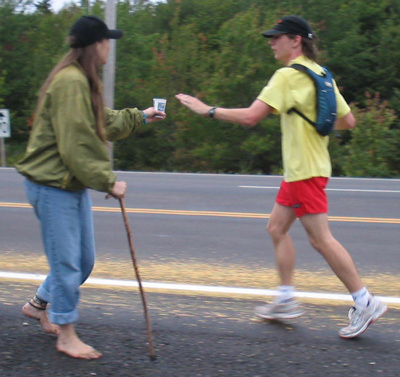 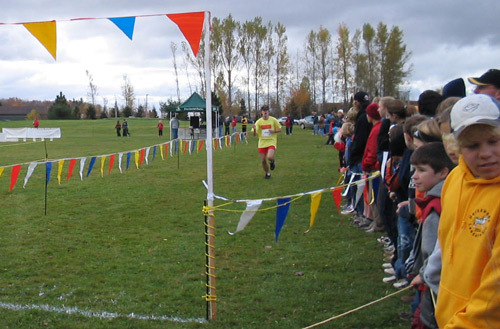 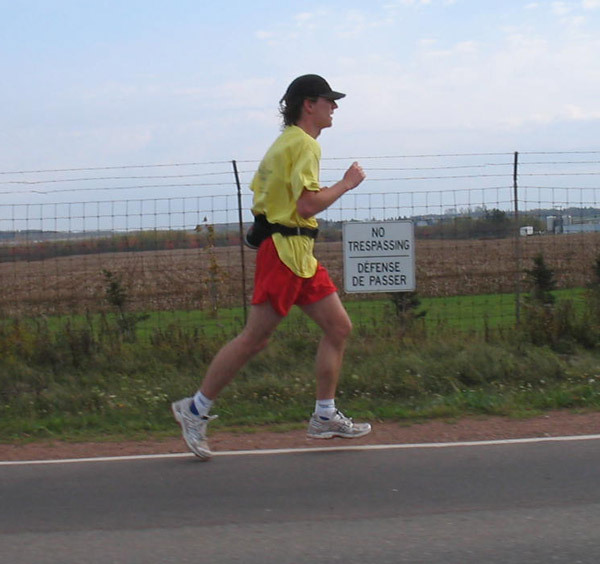 He was awarded the Race's "Most Dedicated Runner" Trophy. 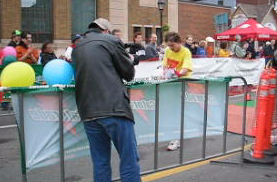 Official Result: 15th out of ?